Caterina read Law at King’s College London and graduated in 2012. Whilst at King’s, she led the University’s Human Rights Project and organised the University’s first Human Rights Week. She completed the LPC with Distinction at the University of Law in 2016. Caterina joined Wilsons in September 2016 as a newly qualified solicitor, having trained at a leading Immigration and Public Law practice in North London. Prior to joining the firm, she spent 6 months at the UN in Geneva working on sustainable trade projects in Africa and volunteered for the Equal Rights Trust and Lambeth Law Centre. 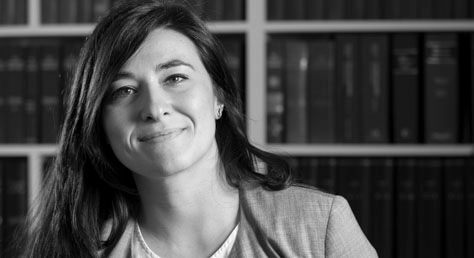 Caterina specialises in immigration, asylum and human rights law. She has experience in assisting clients on asylum and human rights cases, including children and family claims, deportation, statelessness and judicial review claims. Caterina has a special interest in complex asylum cases, in particular those involving victims of torture, political activists and members of anti-government organisations. She has acted in cases involving war criminals and criminal deportation cases. Outside of work, Caterina volunteers for the Liberty Advice Line and is on the Executive Committee of the Human Rights Lawyers Association. She also writes on legal and justice issues for The Justice Gap and other legal publications, including the FreeMovement blog. She is the Justice Gap editor on the Unlocking Detention campaign organised by the charities Right to Remain, Detention Forum and Detention Action. In 2016, Caterina was a speaker alongside Italian MP Khalid Chaouki at the Italian Consulate General Conference on Immigration and Nationality organised by the Italian Democratic Party (PD). Caterina has written about the Windrush scandal for Open Democracy. She is a member of the Haldane Society and Young Legal Aid Lawyers.